Director H.Vinoth, in his sophomore outing, leaves a solid mark to become one of the directors to watch out for and reminds us that he’s no one film wonder. Theeran Adhigaaram Ondru is one of those rare police films that not only works but also gives us hope that we can still make films in this space without having to go overboard and needlessly glorify the hero. While we have the highly successful Singam franchise on one end, Theeran Adhigaaram Ondru deserves to be turned into a franchise for gives us a riveting, no-nonsense cop drama to remember for a long time. Vinoth, in his sophomore outing, leaves a solid mark to become one of the directors to watch out for and reminds us that he’s no one film wonder. 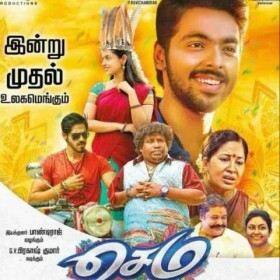 The film follows a team of policemen – lead by Karthi – on the pursuit of a ruthless gang of dacoits who give sleepless nights to the police department and general public. The fashion in which Vinoth introduces us to the gang can send chills down our spines. From how they meticulously choose a house to rob to killing mercilessly, the realistic presentation makes us sit up and wonder in shock. 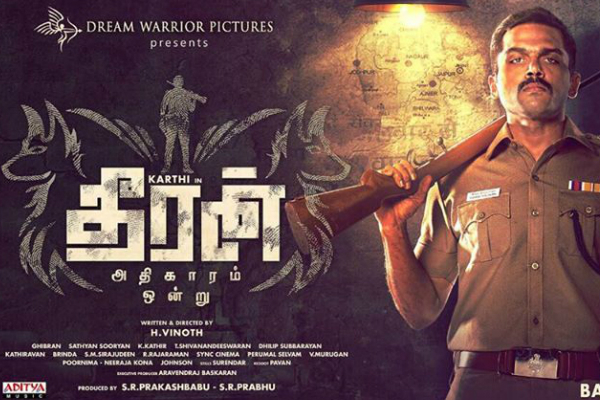 In Karthi’s career, Theeran Adhigaaram Ondru will easily go down as one of his best works. As an upright police officer, he is terrific and owns the part comfortably. There’s absolutely no heroism in the way his character is presented. Vinoth, throughout the film, keeps us reminding that cops are no super humans. They can also make mistakes; misjudge a situation and jump to conclusions. Nevertheless, they go out of their way to do their job. Agreed, there are a few who are an insult to the department but that applies to every profession. The film shows the lives of cops in a very different light, earning both respect and sympathy from the viewers. Theeran Adhigaaram Ondru shines in the action department and is packed with some of the best action episodes of the year. In the second half, there’s a brilliant stretch where the action begins inside a moving bus and then shifts to top of the vehicle, leaving us in awe of the action choreography. Abhimanyu Singh as the antagonist and his gang shine in their respective role. In fact, they steal the limelight quite early when we see them beat and kill a family to pulp. 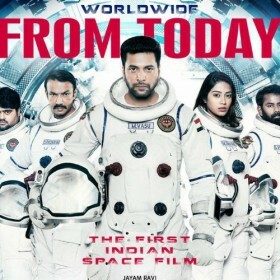 Except for the unbearable romantic portion in the first half, which can easily be overseen, Theeran Adhigaaram Ondru is a terrific police procedural with well-researched writing and a gripping screenplay that never runs out of giving us whistle-worthy moments.